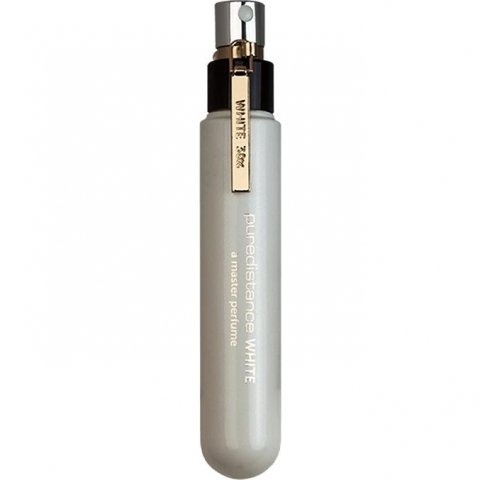 White is a popular perfume by Puredistance for women and was released in 2015. The scent is floral-powdery. The longevity is above-average. It is still in production. Once upon a time there was a far, far away kingdom in which fields were covered in roses, the sky was always blue and every single man or woman would have golden hair and opalescent white skin. The kingdom's name was Puredistance and the people living in it were called Whitesians. The sun was always shining in the kingdom of Puredistance and people were always smiling. The Whitesians had no worries and their world was filled with love and joy, but in order to preserve this bliss, once a month a Whitesian had to travel outside the Puredistance kingdom's gates in order to fulfill someone's dream of happiness. That was not an easy task, as ordinary humans easily gave up their dreams and wishes and were often feeling sad or angry. The big day came for Beatrix and she was ready to go out there, in the big, intricate world and make someone happy. She had her long, golden hair embellished with roses and her lips curved in a generous smile. The gates of Puredistance opened and she stepped outside, nervous but also excited to start the adventure. After a while, she found the sad human being whom she must make happy again: a girl, named Deidre who was sitting on a bench, sobbing, with her shoulders moving up and down. Beatrix, who, like every Whitesian, was invisible for ordinary humans, seated next to the girl and with her white, warm fingers, wiped the tears falling from Deirdre's eyes. The girl stopped crying, and for a moment she felt around her the most magnificent perfume ever: a warm and inviting rose scent, mixed with a soapy and clean sandalwood note. Her watery eyes became wider as she was looking beside her hoping to see where did the wonderful smell came from, but she saw nobody. Beatrix hair started to shine brighter spreading the heavenly scent all over the place, absorbing all the sadness from Deirdre's heart. The Whitesian came closer to the girl and embraced her, softly singing the song of happiness. Suddenly Deirdre was feeling better and began to remember all the good things in her life. A shy smile was begining to rise from within her heart. She closed her eyes and the perfume that was spreading around her started to feel more and more creamier. Deidre felt the need to take her shoes off, she wanted to feel the ground under her feet and just let go of all the worries. Suddenly an earthy hint of orris began to tickle her nostrils. She felt like the earth was absorbing her sadness and then, Deirdre felt free and...happy. She began to dance, like nobody was watching, like all her dreams could come true in an instant. Beatrix was proud. Her misunderstood human was happy now. Her mission was accomplished. She laughed, flicking her locks of hair, spreading the perfume of happines around her once more and kissed Deirdre's cheeks. It was time to go back to Puredistance kingdom. 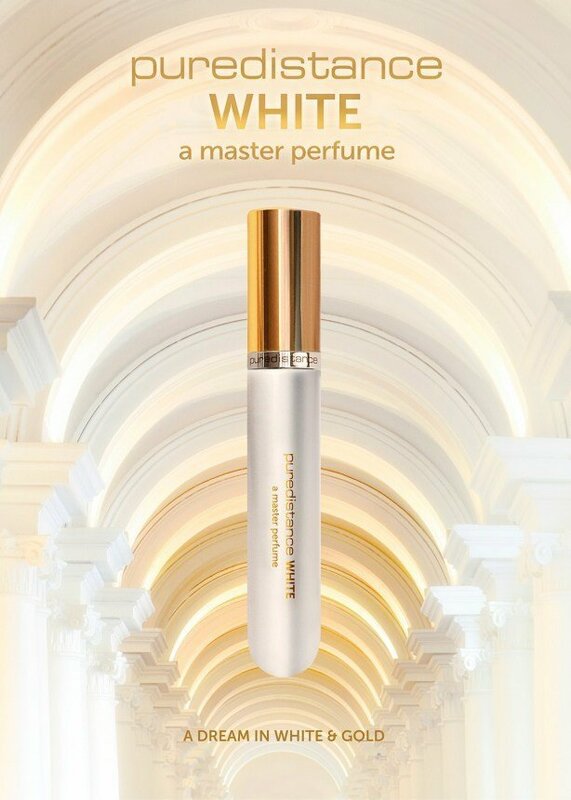 This is Puredistance WHITE to me, a complex, life-changing perfume by wich I would love to be surrounded every single day. 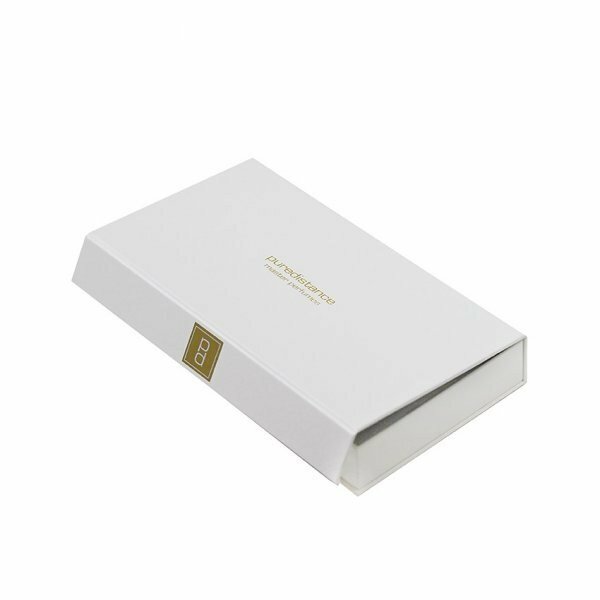 WHITE is different right from the beginning from the rest of Puredistance perfumes by simplicity in the way it was built, it does not have the rich structure of Antonia, M or Puredistance I . It s simple but in a very sophisticated way, being an example of “less is more” in perfumery. I can easily say that WHITE is one of the most elegant summer fragrances. It starts on my skin in the first minutes with a clean scent of white musk surrounded by crispy cool bergamot /citrus and a hint of patchouli , then in short time , this composition turns fruity having a lemon sorbetto & limoncello note while the white musk disappears (for some time ). At this moment the rose signals it’s presence joining the sorbetto & limoncello note enhancing the fruitiness of the composition. This phase of WHITE reminds me a little bit of MFK’s Acqua Universalis Forte. After the first hour the lemon sorbetto starts turning into a creamy vanilla citrus ice cream, the fruity tone being replaced by the powdery iris and by warm tonka note with shades of vanilla and heliotrope but not too sweet, please do not think that’s close to the latest Guerlain releases, it’s miles away. Santal is to blame for the soft milky note, that according to the company is sourced from Mysore, so we are talking about the real stuff. A simplistic composition but made with the best ingredients. From this stage WHITE will not change a lot. The santalwood will become more present after two hours, lending more creaminess and a luxury feeling to the entire composition, the ice cream is melting on hot skin. After 5-6 hours the clean musk re appears on my skin and bringing WHITE back to the white musk land where everything is white and clean and no emotions. It’s like the white musk is playing a “hide and seek” game on skin, appearing and disappearing from time to time. The fragrance has an outstanding longevity for a simple summer fragrance, more than 8 hours, the silage is average which is easily expected from a perfume with a 38% fragrance oil.It ‘s difficult for me to say where is the place of WHITE: is it a clean white musk perfume or is it cool crispy summer woody fragrance? If is not clear yet if we have here a musky scent or not, what’s sure is the feeling: it makes me feel good, not really the “flow of happiness” as it was expected but I like it. WHITE Is that kind of scent that is easy to pick in the morning when you are in a rush and you don’t have time enough to make up your mind about what perfume you want to wear on that day from your scent collection or when outside is a very hot summer day and you dress accordingly but you still want to be elegant .